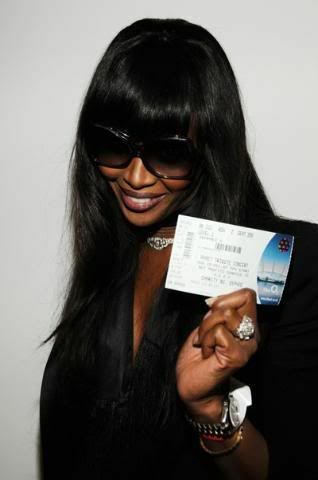 Since the American Idol began dropping performances, producers have refunded tens of thousands of dollars worth of tickets. Fantasia did show up for work the day the strike hit and sang for disappointed fans outside the theater. News of her impromptu concert reached Sardi's, where a group of Shubert executives were lunching. Said one, acidly: "There's no show, and she's out there singing. Now if we could get her to perform when there is a show, we'd be in business." 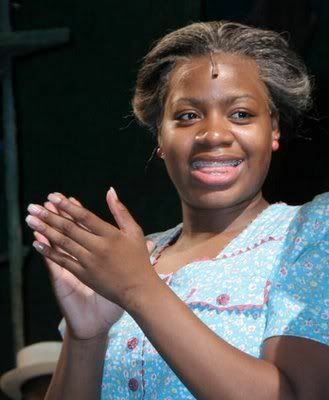 Sources say Fantasia's out a lot because she's simply not up to the grueling Broadway schedule. Her nu amerykah album drops February 26th. Can't wait. She performed at the Nobel Peace Prize concert and looked like she tore it down. She hit up the Led Zepplin reunion concert last night and got her cell phone jacked. Somebody stole the phone with everybody's number in it--Jay-Z, Beyonce, Nelson Mandela, Claudia Shiffer, and tons of other folks. Stop throwing your sh*t and this wouldn't happen Na Na. 1. In the Who Cares? news of the day...Solange Knowleshas officially left from under Papa Knowles' thumb and has signed with Geffen Records. Her new album Hadley Street Dreams drops the second quarter of '08. All of these people saying all of these things based on unfounded information "reportedly" given to the media about Fantasia! Oprah and the producers of the play would have NEVER asked her to extend her stay (which she did) if she was missing so many shows and it was not a part of her agreed contract...Fantasia has done show after show after show...you don't think she deserves a break every now and then...and besided she is the big money draw for the play since she has arrived so yes the box office should refund the patrons money because yes they came to see the show but mainly they come to see Fantasia in a role that she was born to play...i just say think before you automatically jump on some none existant bangwagon simply for the sake of "saying something"
Solange is not signed directly to Geffen. she is signed to her daddy's label which is now distrubed through Geffen. Alicia looks cute. Wasn't there a Broadway strike for the past month or so. Is this why she missed some of the shows?